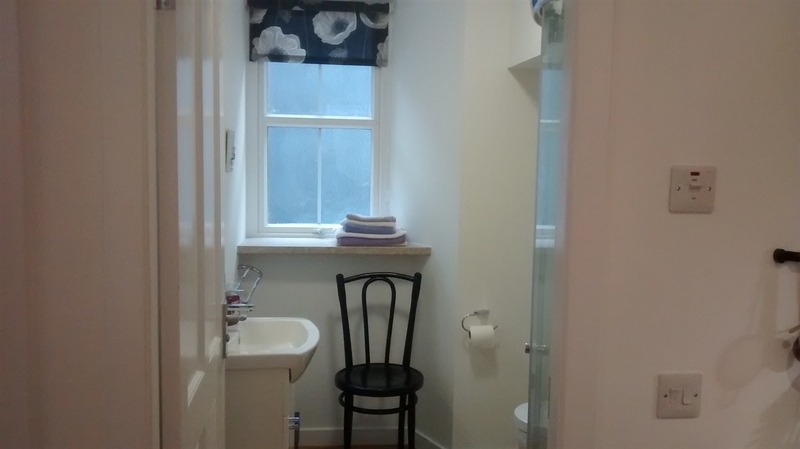 A cosy one bedroom self-catering flat in central Stromness minutes away from the ferry terminal, tourist office, hotels, cafes, shops and the very well known Pier Arts Centre. Stromness has a lovely golf course museum and swimming pool. 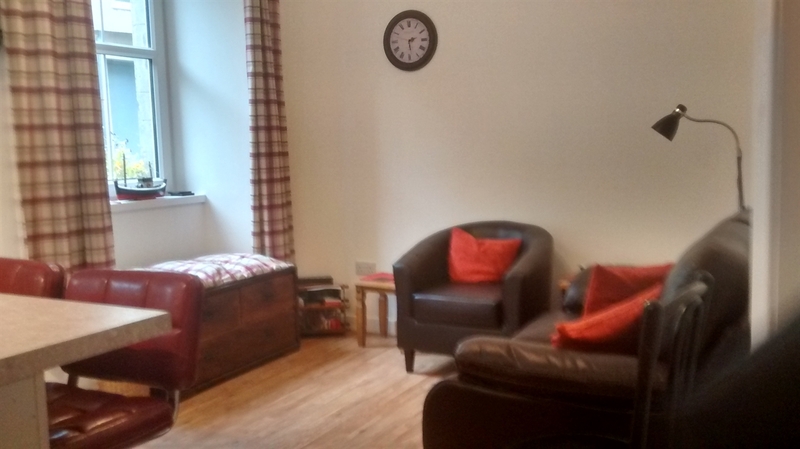 Situated in the centre of Stromness close to cafes, shops, 2 minutes from the ferry and bus terminal The Flat is a very well equipped self-catering accommodation. There is Co-op just in easy walking distance as well as a local butcher, bake shop, paper shop and lots of gift shops along the street. Further down our lane there is a pier where it is nice to sit on a summers evening(folding seats in flat). 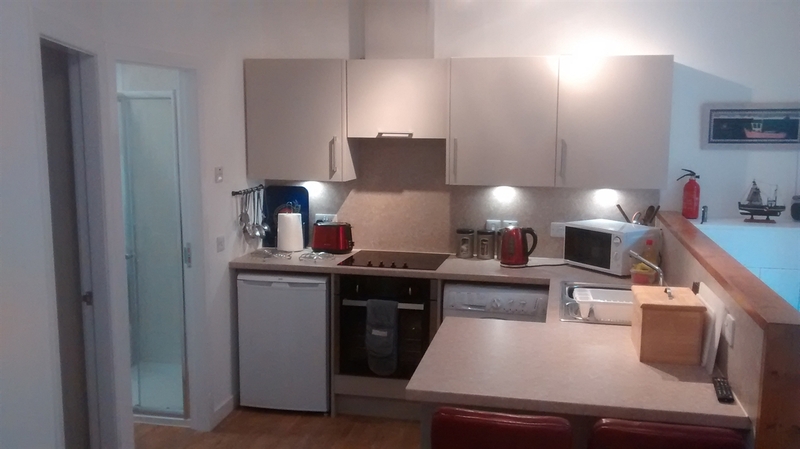 Electric cooker and hob,microwave,fridge.toaster and kettle, washer/drier, iron and and ironing board. All kitchen essentials provided. Showeroom: electric shower. Towels and toilet roiis provided. Bookings:A non refundable deposit of £50 is required and the balance can be paid on arrival. 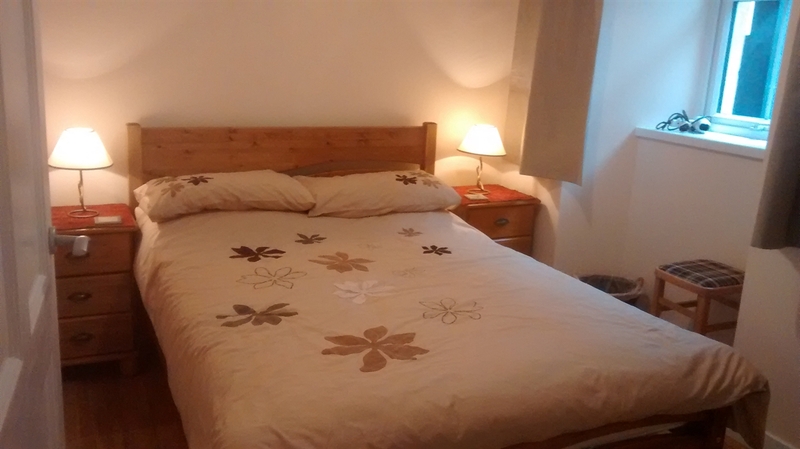 Weekly lets run from Friday to Friday but will take part week bookings (3 nights minimum).